A hologram is simply a three-dimension security feature normally placed on products. e.g. the shiny stickers on Academic certificates, GRZ General Receipts, Vehicle Registration number plates. This is how Amos Malupenga turned the Hologram into a huge government project through his propaganda just to syphon tax payers money with impunity. The hologram was well intended but it was driven by corrupt and wrong persons. Key stakeholders, such as the Anti-Piracy Crack Squad at Police Headquarters, Musicians including their umbrella Board, the Zambia Association of Musicians where left out as confirmed by their President Maiko Zulu. Billions of tax payers money was spent extravagantly on the hologram through international tours not only in Africa but also Europe. 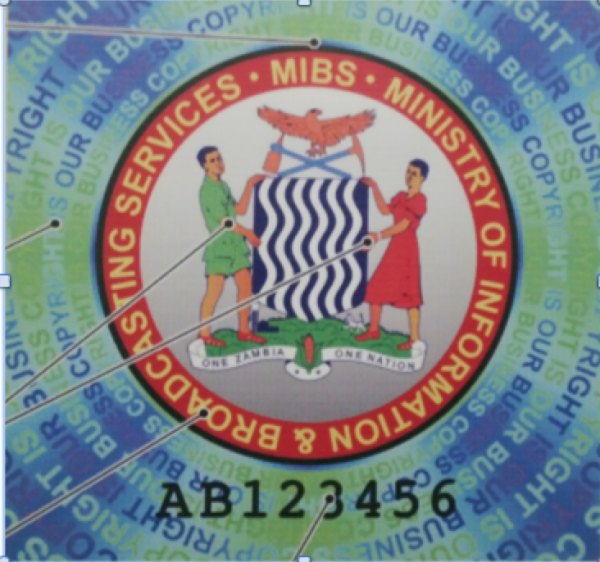 The worst case was a 10 man crew headed by PS Malupenga which flew to the UK just to view this sticker called Hologram. In the first place, you wonder how a person like Kenneth Musavu would be given such a responsibility to administer the Copyright Act. This is a person who has never even done Basic Law. He worked as a Journalist at The Post News Paper through Malupenga’s supervision and jumped to the position of Registrar of Copyrights. What are the Economic, Social and Political Implications of the Hologram? After spending huge sums of money on the hologram government will only be selling them at K5.00 each. If successfully implemented most unemployed youths on the street who sell CDs/DVDs will lose their self-created jobs contrary to the PF Manifesto of ‘putting more money in pockets.’ We appeal to the new PS at Ministry of Information Mr. Emmanuel Mwamba not to leave any stone unturned especially on the Tender to supply the Hologram by a UK based company. Further, the Task Force on the Implementation of the Hologram should be disbanded and re-constituted.